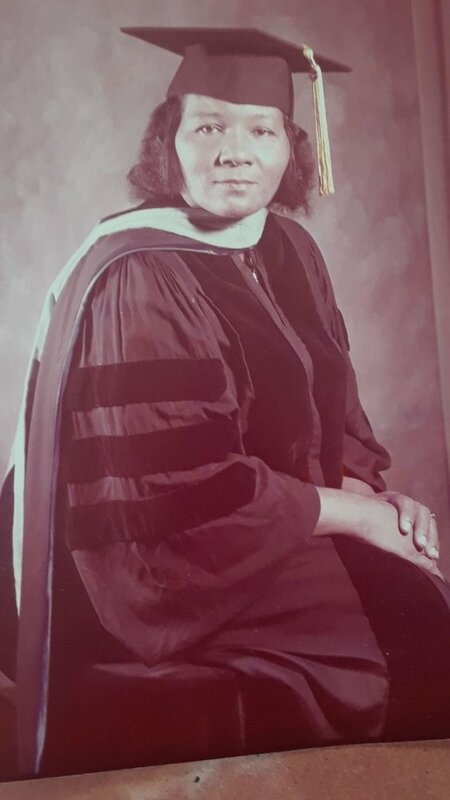 A teacher by trade, Dr Mary Sullivan Bain recorded her musical works to be used as an educational and motivational tool in the Miami-Dade public school system she taught in. “That song came to her in a dream, that’s how it started” recalls Pruchelle about the record. “I remember as a child seeing our mother’s writings at the side of the bed. She would write what she had dreamt about and different scenarios for the song developed from that”. The single was Recorded at Miami Sound Recordings, South Florida and released in small numbers as a self-published 12” pressing for educational purposes. Copies of ‘Do You Know Black History’ did not circulate much further than Florida’s public school libraries and the vaults of some local radio stations when it was released in 1985. Produced with no label constraints, Mary worked alongside her friend and vocalist Herman Attaway. She would give him the words and the melody and together they translated her ideas into song. If one wanted to categorise it they’d have to put a copy in a few different boxes … 808’s, bass synths, deep chords, live percussion and effects dubbed into the mix. The production leans towards the electronic diy framework that informed the local sound on the south side. Whilst the categories are blurred what’s clear is that the musicians who made this thought outside of the box. 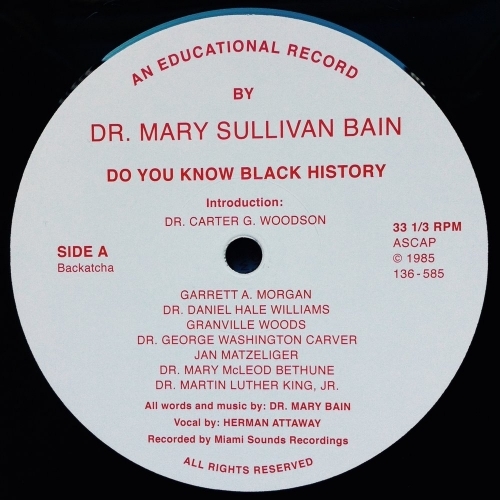 Likewise, this 12″ reissue highlight’s Dr Bain’s legacy both musically and as an educator, that her progressive school of thought continues to surpass the hands of time to a worldwide audience via Backatcha. Crattediggers by quick before the 12″ will be sold out and get your copy.